Practical and suitable for outdoor use, IP 44. The universal tripod made of powder-coated steel-tube. Height-adjustable from 0.7 m to 2 m, with halogen lamp to 1.3 m (on sloping surfaces). 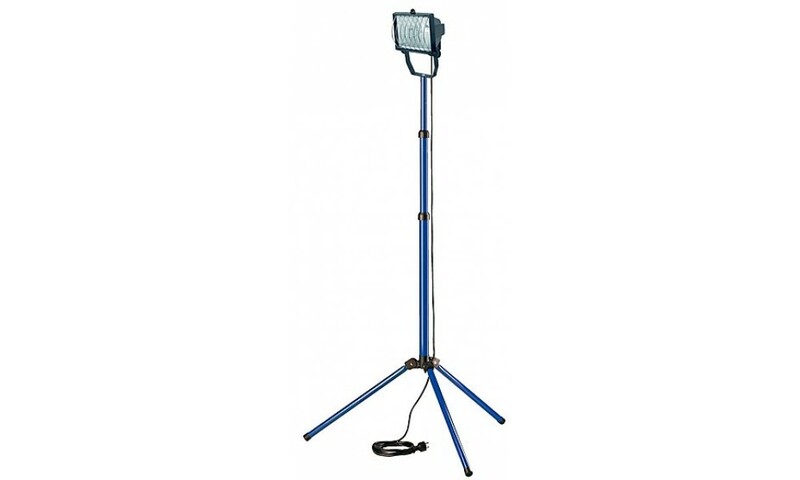 Universal tripod for use with halogens, restricted maximum permissible height.